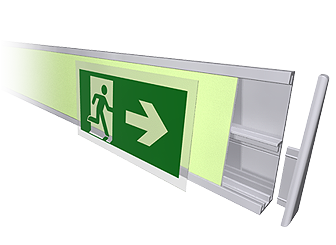 All passenger ships carrying more than 36 passengers, the means of escape, including stairways and exits, should be marked by a Low Location Lighting ( LLL ) system at all points of the escape route. PVC rigid profiles. 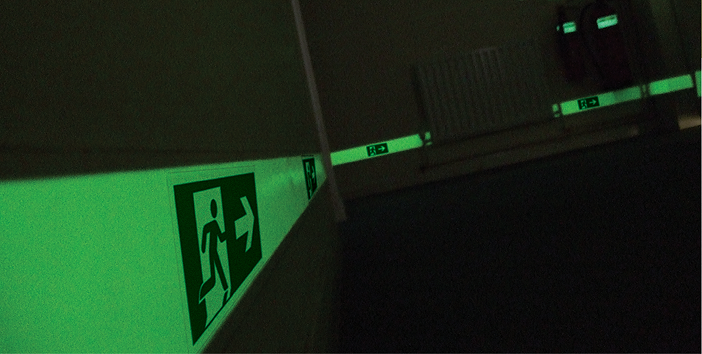 The safety wayguidance decals are supplied separately so that they can be affixed at the most pertinent places along the escape route system. 1 x 10 pack of decals (Arrow left). 1 x 10 pack of decals (Arrow right).